Christmas day was spent visiting Sean. As I made my way to the prison in the early morning, I saw the sun rising below some breath takingly amazing looking clouds- grey and white with purpleish blue showing through the cracks. The beginning sun glowing red and hot like fire.And I thought ‘this is going to be a special day’. Although he wasn’t able to wear anything but those prison blues and we didn’t have a lot of things that might normally happen during a typical Christmas celebration, somehow, that doesn’t feel bad. 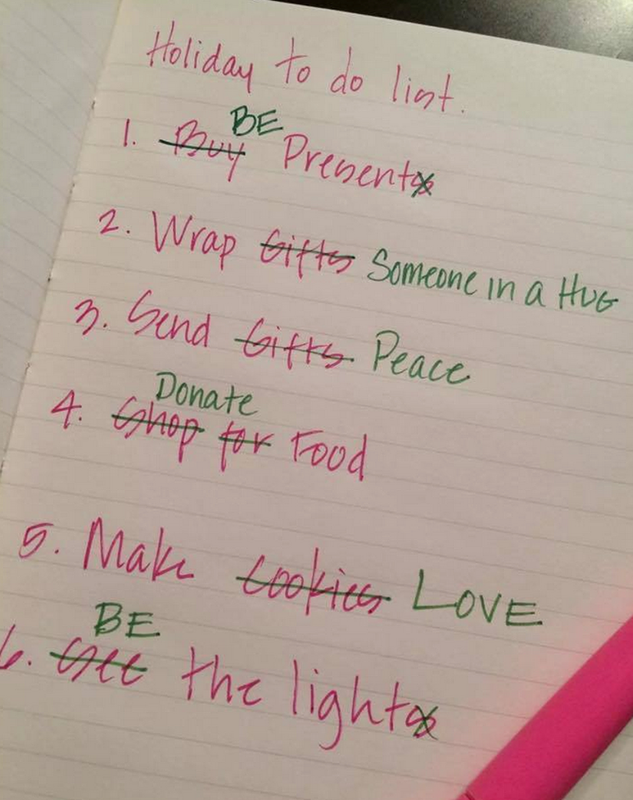 When you take away the stuff that makes up an over-commercialized holiday it’s actually kind of refreshing! I felt honored to bring the spirit of the season to him, where it’s surely lacking. I got to be the light. This Christmas visit was sort of a miracle because they let us wrap our arms around each other for our photos. This is something we have never been allowed to do in the 2 years I have been coming to these visits… up until Christmas day. For the very first time we were able to hold each other close for more than just a few brief seconds. What a feeling. Sharing these moments of closeness, whispering and laughing, is something I can’t even attempt to describe. Another reason it was a miracle day is because they opened the doors for the patio, which they kept closed the previous weekend as well as the weekend following Christmas. Their explanation both times that there was a puddle. Such ridiculousness! Because of this we really jump at the opportunity to be outside in the fresh air together instead of in a jam-packed visiting room, sharing a table with random strangers. As we walked around, circling the patio hundreds of times, hand in hand, the sun beamed down on us. We sang jingle bells together in the cold winter air. The sky looked beautiful, time flew by as we talked and shared a special meal that was actually really tasty! Surprise surprise, delicious tasting food from the vending machine just for the holidays. Another little miracle. We hold hope and have faith that next Christmas will be spent together up in some remote area where we can appreciate the quiet, clean trees and air. Where we can be natural and feel comfortable just being ourselves. Where we can chop wood to make big bonfires and run around with our dogs singing Christmas songs as loud as we want because no one will tell us no. And maybe, possibly we can make up for lost time. We look forward to that day. But for now this is what we have. And that’s OK. 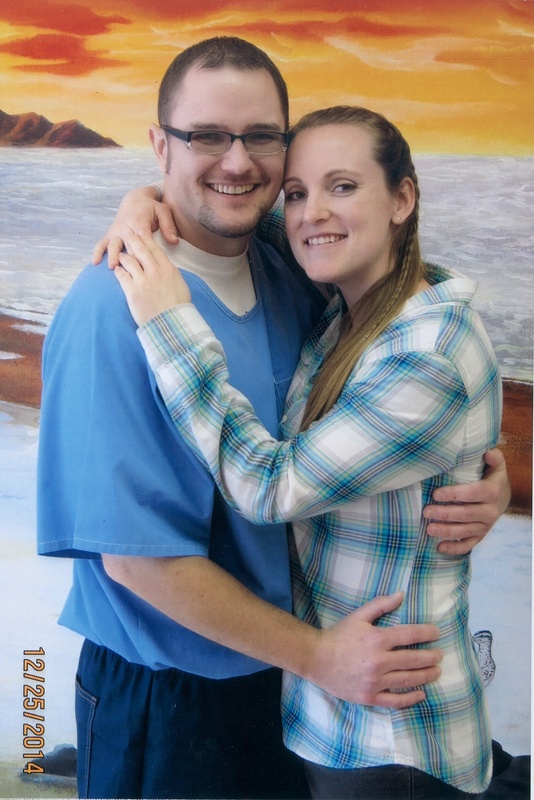 This entry was posted in wrongful conviction and tagged JLWOP, long distance relationships. Bookmark the permalink.